Interest continues to build around the anticipated film The Big Short, an adaptation of Michael Lewis’s non-fiction novel which examines the credit crisis swirling around the 2008 stock market crash. 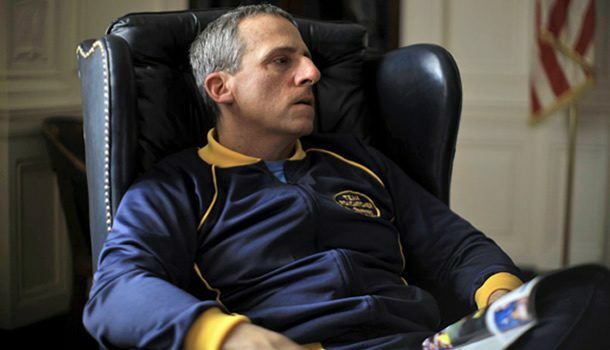 Beloved star Steve Carell (Anchorman, The 40-Year-Old-Virgin) has joined the ranks of Brad Pitt, Ryan Gosling, and Christian Bale in talks to join the cast of the upcoming project, according to The Hollywood Reporter. If this cast is solidified, Carell will play the role of Steve Eisman, a subprime mortgage manager who tangles himself up within the fraudulent loans and bonds market of the early 2000s. Meanwhile Bale, Gosling, and Pitt will embody the roles of Scion Capital founder Michael Burry, Dutch bank trader Greg Lippman, and Cornwell Capital partner Ben Hockett, respectively. Adam McKay, the writer and director behind Step Brothers and Talladega Nights, is taking on both those duties here as well. Following his critically acclaimed performance as eccentric wrestling coach John du Pont in Foxcatcher, Carell has proven his versatility in both the comedic and dramatic arena. If his two most recent films – the upcoming Freeheld and last year’s Alexander and the Terrible, Horrible, No Good, Very Bad Day – denote anything, it is that the actor is willing and capable of balancing a broad career in both genres. His performances in Crazy, Stupid, Love, Little Miss Sunshine, and Dan in Real Life demonstrate his knack for this “dramedy” fusion, with his humor subtly complementing more serious undertones. Despite any debate on the legitimacy of comedic versus dramatic acting, Carell isn’t abandoning his light-hearted roots, as evidenced by his next rumored project, roughly titled Acme. The project, based off of the iconic Looney Tunes universe, is still in the beginning stages of development and will reportedly be a CG/live-action mash-up.